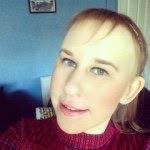 If you read my post from Tuesday you will know that I finally placed my order of Tanya Burr Lip glosses from +feelunique.com on Monday night, I ordered two colours Picnic in the Park and Aurora. They arrived really quickly and landing on my doorstep on Thursday morning which I was very pleased about, and was very quick service. I think the packaging is really nice and girly and not cheap looking. At first glance, I was very excited to try the product on my lips and see what the pigmentation and texture of the glosses were like, and the colour which is actually portrayed onto the lips. Picnic in the Park looked very pink and girly just what I thought and expected whereas, Aurora looked a little darker than I thought but you can instantly clearly see the glitter running throughout this colour. Once opened and swatched I was instantly loving the products more minute by minute. When I opened Aurora, (top) I automatically could smell the scent from the product it was sweet and smells like strawberries which I love! The scent of Picnic in the Park (bottom) is not as obvious but its still sweet and pleasant. When swatching the products they were nice and smooth and you could see the product instantly.When applied to the lips it has exactly the same effect, and with one coat you can see the colour and pigmentation of the glosses. One thing that I do really like about these glosses are the wands, they are not your regular shape, they are indented on both sides so it collects the products and it helps with even distribution across the lips which is a little extra touch which makes these glosses great. I applied Picnic in the Park first as this is a cream gloss, it is a nice natural pink that is bright and fun. I would describe it as a classic girly colour and is perfect for spring and summer to combine with colourful pastel outfits. It feels smooth and not too sticky on the lips and if you do want a more vibrant colour you can build it up to create a more dramatic colour. I like that I am going to be able to wear this during the day with natural eye makeup but at night to stand out and be a statement. You could definitely wear this over the top of a lipstick, and I think it would look perfect over my Maybelline Fuchsia Pink. In terms of lasting power I did need to reapply during the day, but you always do with any lip gloss. I applied Aurora over the top of Picnic in the Park and it created a really nice combination which is what I was really hoping for. As a said before, you can really taste the scent of Aurora much more than Picnic in the Park which is nice as it adds that little extra touch to the product. I think this colour looks darker in the packaging than when applied to the lips. On its own you can really see the shimmer running through the gloss and it really sparkles in the light. As the colour is a little stronger I would wear this on it own just to add that pop off colour to the lips. I do usually wear lip glosses with a bit of shimmer through it so I was instantly very fond of this, I can see it making a regular appearance in my daily routine. For £6.99 I think these products are really leaving up to the hype from the beauty world and for the price I think they are excellent value for money. I do want to get my hands on a few more these and I am excited that Tanya has announced that they are going to be available to buy in Superdrug over the next few months. I like to be able to see what I am buying so I am glad they are being released on the highstreet. Tanya also has a nail varnish line to go alongside her lip glosses so I think I am going to order a few varnishes next month to see if the whole collection is as good as the glosses.